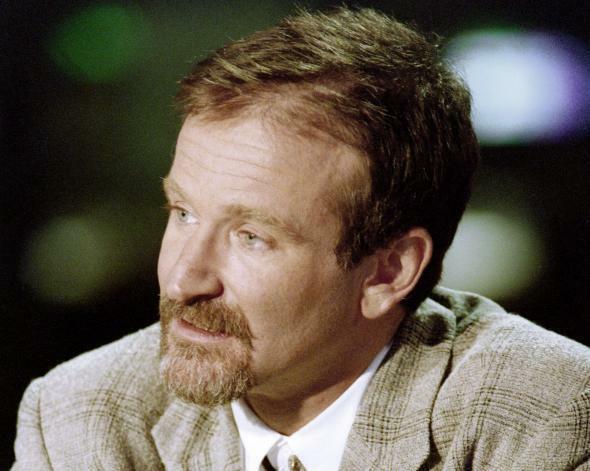 Robin Williams’ Lewy Body Dementia diagnosis: It should finally crush the "sad clown" myth that haunted him. When someone famous dies, the rest of the world scrambles to make the death feel meaningful by building a narrative around it. And when Robin Williams died, our narrative of choice was the Sad Clown myth. Funny people are actually sad — their humor is a mask, a crutch, a coping mechanism. Media coverage hastened to portray Williams’ death as the result of depression. We saw his death as a suicide in which Williams lifted his playful mask to reveal his true, sadder self. But we’ve since learned that it was wrong and premature to apply the Sad Clown myth to Williams. He did not just commit suicide because he was depressed; he actually suffered from a horrifying disease whose symptoms are pulled from the dark playbooks of Alzheimer’s, Parkinson’s, dementia, and schizophrenia. His wife went on record saying that “depression was one of, let’s call it, 50 symptoms, and it was a small one.” The Sad Clown myth is false and destructive. It promotes a worldview that understands humor as a form of escape from a bleak reality that will inevitably triumph in the end. It provides a rationale for mentally ill comedians not to seek help. It’s a misunderstanding of comedy that can cost comedians their lives, or at the very least cause them unneeded daily suffering. When you’re told that you’re funny because you’re mentally ill, you have a strong incentive not to seek help for your depression, your anxiety, your obsessive-compulsive behavior. Your illness becomes its own redemption, your redemption, your superpower. There’s dysfunctional solace to be taken by a depressed comic when she reads, in Andrew Solomon’s moving elegiac essay about Robin Williams: “The same qualities that drive a person to brilliance may drive that person to suicide.” If you’re depressed and feel your only value is being funny, then suicidal worthlessness is what you pay for this super-power. As a stand-up and a member of a sketch group, I’ve heard other comics express these sentiments backstage. I’ve had my own backstage panic attacks triggered by these sentiments. So it’s worth viewing Williams’ diagnosis as a reminder that you don’t have to be mentally ill to be funny, and seeking help won’t rid you of your gift. In fact, many comedians say that their comedy got better as they engaged in psychological healing. Marc Maron has said: “I got less angry, more accepting of myself, [it] definitely helped my comedy.” Paul Gilmartin, on his podcast The Mental Illness Happy Hour, offers this antidote to the myth: “You can change your coping mechanism and still be funny. The funny just comes from a different place…funny isn’t keeping people at distance, it’s celebrating how crazy life is.” I’ve found this true for myself. As I’ve gotten to know myself better, engaged in Cognitive Behavioral Therapy as well as Zen practice, and consciously developed my mindfulness, I’ve gotten funnier and much more comfortable being funny. The Sad Clown Myth can also be used to distance the creators of comedy from “normal” people by depicting comedy as the symptom of an abnormal psyche. The rest of us are serious and normal people who live in the real world; the comic is not able to handle this same serious and normal world, and thus resorts to a funny perversion of reality. Andrew Solomon’s elegy makes Williams’ death a reminder that “that we are all prisoners of our own flawed brains; that the ultimate aloneness in each of us is, finally, inviolable.” But comedy teaches us that nothing is inviolable. And so Solomon leaves behind the one weapon with which he might’ve attacked aloneness: comedy. According to Solomon, comedy is an outlet that we should, and ultimately will, abandon when it comes time to face the music. And I agree with him that the music will be sad, but I also think that it will funny. The violins will harmonize with the clown-horns. Comedy does not exist in opposition to suffering. It’s not a respite, an escape, or a mask. Funny and serious are interdependent forces, not dueling ones. It’s time to replace the Sad Clown myth with the Clown Myth: funny people are funny because the world is funny, not because it’s so inescapably sad.